Basket Bags – A small bag that makes a big difference. 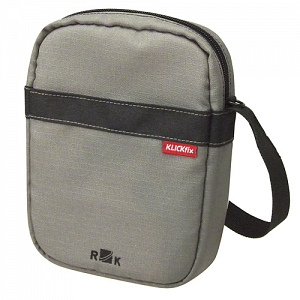 An accessories bag with built-in Universal Clip a practical addition to wide and close-mesh handlebar baskets. Straight forward and practical, but surprisingly new. No more loose items bouncing in the basket. Simply clip BaBs onto the basket rim. All important items kept right at hand • orderly interior with key ring • alternatively functions as shoulder bag • a security strap helps prevent theft. On baskets or as shoulder bag – BaB's always looks good!